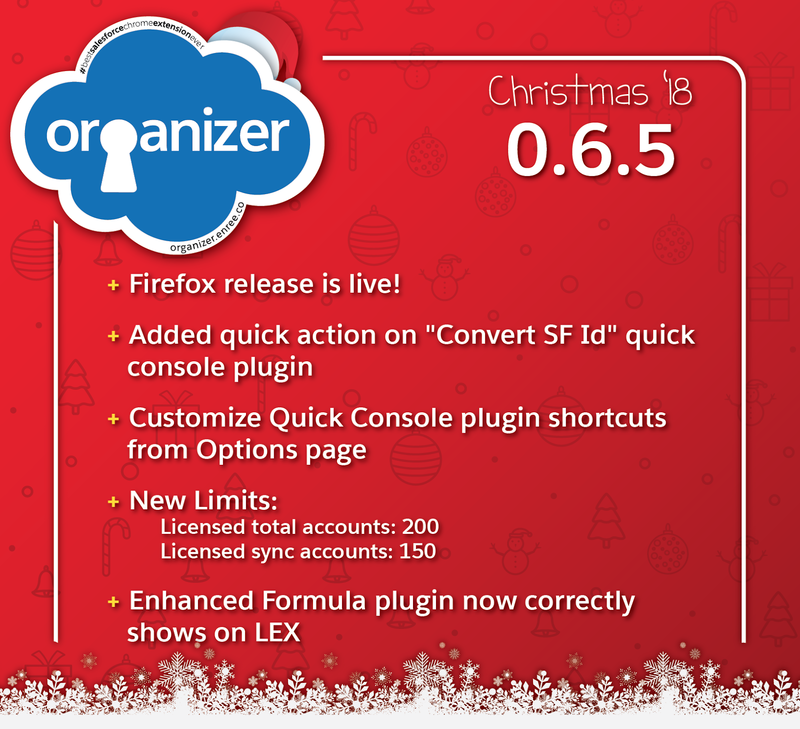 Nerd @ Work: [Salesforce / ORGanizer] Christmas Release 0.6.5 is live! 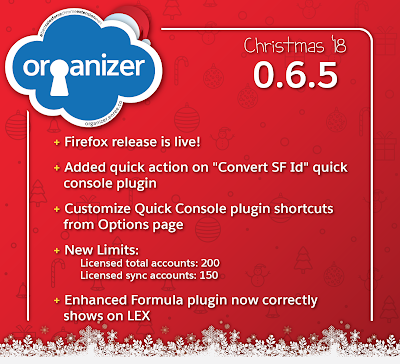 [Salesforce / ORGanizer] Christmas Release 0.6.5 is live! A new Christmas gift for my ORGanusers. Christmas Release 0.6.5 is live! 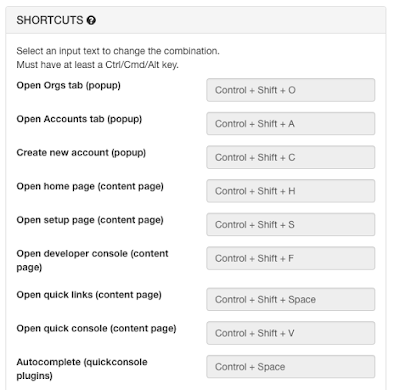 It's months I've been asked for an ORGanizer Firefox version and, drum roll...it is finally live! It's an important milestone: the ORGanizer can now be enjoied on the most widespread browsers. That's why I'm here to ask you to register to the ORGanizer beta program: I can track who wants to help me in enhancing our beloved extension, send them early releases (before the official production release), making the ORGanusers a community in our amazing Ohana community! 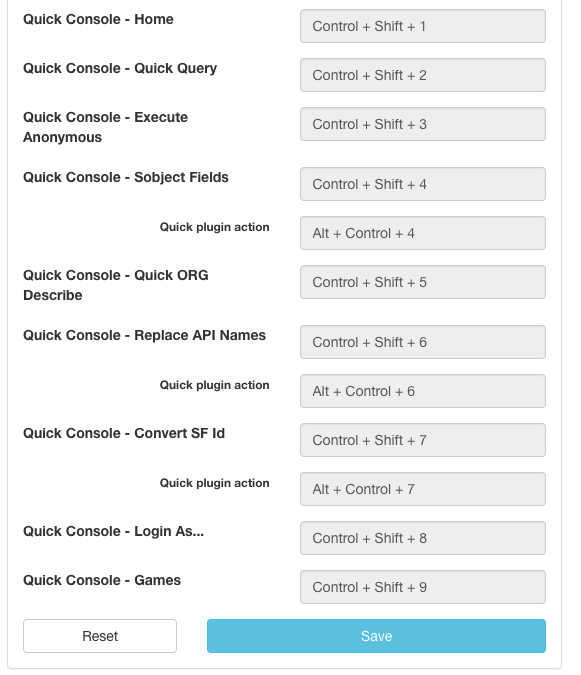 Conrt SF Id plugin now has a quick action to copy the current SF ID on the clipboard. Enhanced Formula plugin now plays correctly on Lightning Experience! Follow the release notes for more details! 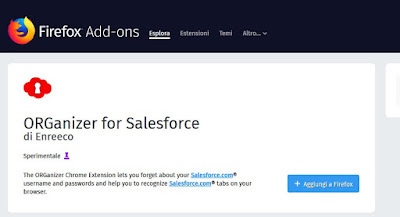 Don't forget to Support the ORGanizer, the Best Salesforce Extension ever!